It would be fair to say that Sousse is one of the most tourist-friendly cities in Tunisia and is regularly the subject of family holidays from abroad. While history is a central theme to Sousse, the area also has plenty of other interesting attractions that make it a winner amongst a whole variety of travelers who visit Tunisia. How do you get to Sousse? While Sousse doesn’t have its own airport, it does have one that is relatively nearby. This comes in the form of Monastir and situated around a twenty minute drive away, it’s ideal for most holidaymakers. Trains tend to go every twenty minutes or so from this airport to Sousse, making it an extremely accessible location. 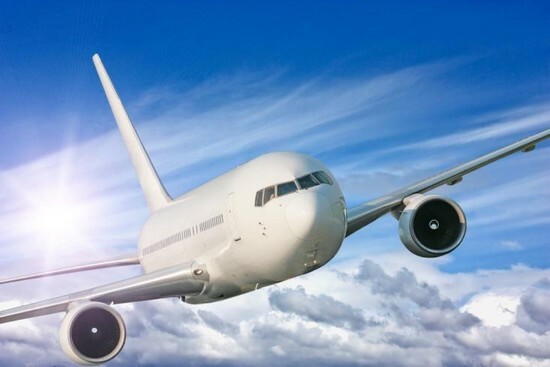 There is also an airport called Enfida, although the transport links aren’t quite as good so it is advisable to plan accordingly if you are flying in there. If you find yourself in other areas of Tunisia, the train will more than likely be a viable option. Sousse happens to be on the main line from Tunis, meaning that even if you are coming from as far as Tozeur you will have a manageable journey. 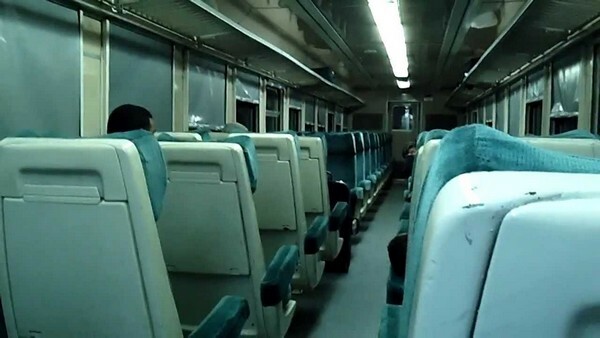 Unfortunately, it can be difficult to reserve seats and the trains tend to travel slower than what most foreign visitors are used to, so bear this in mind. It should go without saying that if you have hired a car, Sousse is also accessible. It is connected to Tunis with the A1, although be prepared to pay a toll charge for using this road. What is the local transportation system like? Considering the popularity of Sousse, it won’t come as a surprise to read that it is very easy to navigate around the city. Taxis are probably the primary method of transport although some drivers have become renowned for taking advantage of unsuspecting tourists. Therefore, you should look to agree a fare in advance of your trip. As well as standard taxis, shared taxis are available and these can be described as vehicles that start their journey as soon as they are at full capacity. It should go without saying that the route can be longer, but the fact that they cost about 1/10 of the price of a normal taxi says everything you need to know about their value. Elsewhere, it’s also possible to take advantage of tuk-tuk’s and horse-drawn carriages, with these lining the streets and providing a more luxurious way to navigate through Sousse. What are the best attractions to see? Mosaic Museum: The name of this attraction gives everything away, with this being a museum which is full of mosaics. It is situated next to the medina and following a recent renovation, it offers visitors some exquisite mosaics to cast their eyes over. Camel Market: Despite what the name of this attraction might suggest, absolutely no camels are for sale. Instead, it’s a local market full of cheap clothes and jewelry. Most tourists come away having bought very little from the camel market, but have instead enjoyed being immersed in the local Sousse culture. 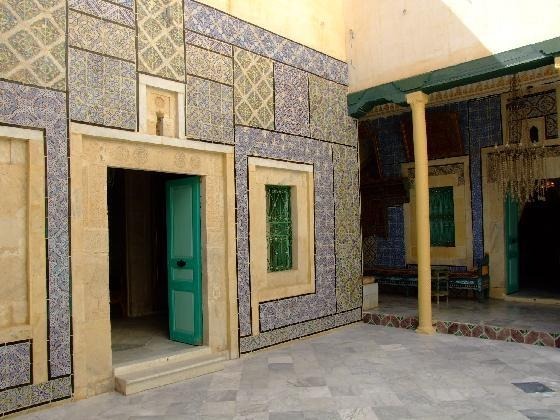 Dar Esid: This is the Traditional Tunisian House and has now become a museum. Unsurprisingly, the deco in the house is impeccable and with some of the furnishings being over two centuries old, it’s ideal for the tourist who wants to experience both beauty and history in one swoop. Great Mosque: Situated right in the middle of the city, this is often a favorite amongst those visitors who want to taste a bit of history and religious culture. The mosque was built all the way back in c. 850 AD so carries plenty of architectural interest. Ribat: This is another religious site and if you can manage it, the watch tower is well worth a climb. This provides unbelievable views which fall over the Medina and for TND 7 it is excellent value for money. Shisha Bars: This is a huge tradition in Tunisia, and Sousse has plenty of bars offering a shisha experience. They might be translated to ‘hookah’ or ‘water pipe’ depending on the establishment, but be prepared to be open to countless flavors and a much more traditional experience. Fishing Boats: Sousse has hordes of fishing boats around its ports, and just strolling around them is enough for a lot of visitors. However, for families who want to entertain the kids in a more extravagant way, it’s possible to venture onto a ‘pirate’ ship and fish as well as engage in other fun activities. Beach: A lot of the popular hotels in Sousse are situated on the beachfront, meaning that these areas tend to get busy during peak season. The sea is perfectly safe to swim in and while some of the beaches in other areas of Tunisia are more favorable, they are still worth a visit. It might be one of the most tourist-centric areas in Tunisia, but food in Sousse is actually very good value for money. A meal-for-two generally costs around 10 dinars and the quality is always incredibly high. 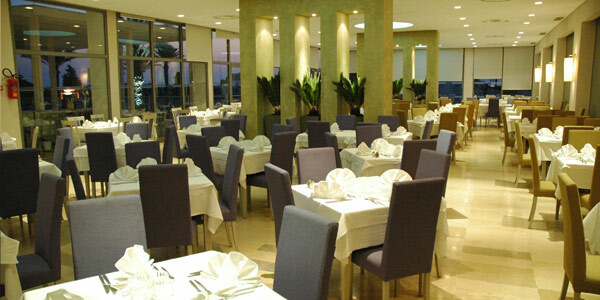 In terms of specific restaurants, Restaurant Libo is always worth a mention. Situated in a picturesque environment near the port, this establishment prides itself on its fish and it is well worth a try if this is something that interests you. Elsewhere, the list could go on. Mio Mondo has some tasty local dishes, as well as serving shisha and great coffee. Another suggestion can be Escargot, which prides itself on its varied menu and tends to attract a lot of repeat custom. What are the best bars? While Sousse might be incredibly popular with tourists, it’s worth mentioning that alcohol is harder to find than you might imagine. While there are still a lot of bars that do serve it, don’t immediately think that every single one in the city does as many operate differently due to their Muslim beliefs. However, that’s not to say that the nightlife in Sousse is dull. On the contrary, this is arguably the most vibrant city in Tunisia and there are plenty of nightclubs that stay open until the early hours in the high season. Edge Bar: Open between 23.00 and 2.00, this is actually one bar which shuts relatively early. Nevertheless, it is certainly worth a visit even if some people might be put off because it is situated in a hotel bar. It’s inside Cesar Palace but plays some fantastic Arabic music and attracts both Tunisian and mixed European crowds. Be One: Being free to enter, it goes without saying that this is always a popular establishment. The fact that it shuts at 4.00 also makes it popular, as does its sophisticated and classy interior. There are two bars, one dancefloor and the organizers insist that visitors dress smartly. Saloon Disco: Also free, this is another night club open until 4.00. While smart dress is also encouraged, it is a slightly more relaxed atmosphere which is also reflected in the type of visitors that it attracts. Again, the reputation of Sousse means that there is plenty of accommodation available. One word of warning comes in relation to the quality though, and while there are some very good hotels out there – always be prepared to subtract a star from its rating. Generally, they are around a star inferior to what most foreign tourists are used to. Hotel Gabes: If you are looking to save money wherever possible, Hotel Gabes could be your answer. It’s basic to say the least, but priced at TND 7.5 for a single room it satisfies most budget travelers and has very friendly staff. 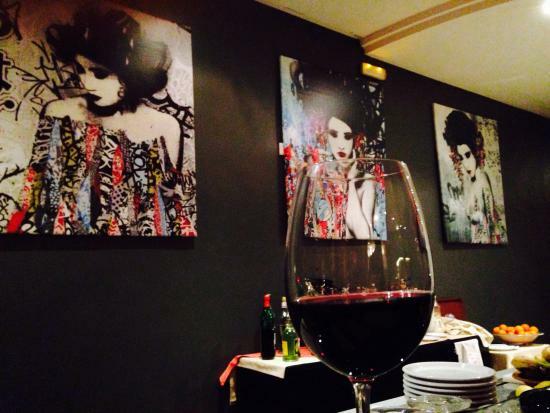 Hotel Medina: If you are happy to spend a little more on your accommodation, Hotel Medina could be up your street. Situated near the Central Mosque its location is almost perfect, while it boats modest rooms that are situated inside a pleasant courtyard. The beach is nearby, as is the train station in case you want to venture further afield. Hotel de Paris: For those insistent on staying near the interesting medina, Hotel de Paris is most likely the answer. This is regarded for its impeccable cleanliness, while it is right beside the entrance to the medina as well. 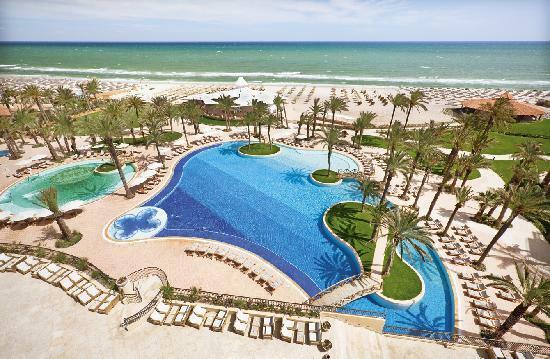 Hotel Riadh Palms: This is one of many all-inclusive resorts in Sousse. The rooms overlook the sea, while visitors will also be blessed with a private beach and swimming pool. The animation team are also worthy of a mention.